Newly-crowned International Boxing Federation (IBF) World lightweight champion, Richard Oblitey Commey, could make his first title defense in June, four months after his triumph over Isa Chaniev. The Ghanaian hard-hitting puncher is expected to recover from his injured right hand to defend his belt against a yet-to-be-named opponent. 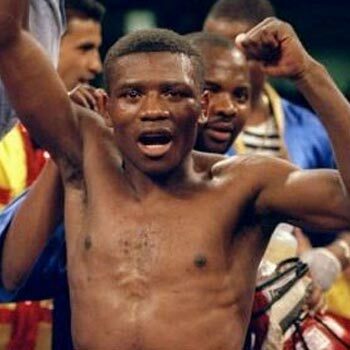 According to the manager of Commey, Michael Amoo-Bediako, his team is working hard to get the 31-year-old fit to return to the ring in June as they look for a successful title defense. Mr. Amoo-Bediako noted that he was hopeful Commey’s right hand would heal in time for him to make his much-anticipated return, having ruled him out of a possible unification with Ukraine’s Vasiliy Lomachenko on April 12. “As it stands now, we don’t have an opponent in mind but we believe he would recover fully from his injury to fight in June,” he added. Commey (28-2, 25 KOs) will resume training under trainer Andre Rozier towards his comeback, having destroyed Russia’s Chaniev in two rounds at the Ford Centre in Frisco, Texas, to win the world title in February. The Ghanaian came back from his maiden world title championship loss to Robert Easter Jr in 2016 to record an emphatic victory three years later. Commey announced his return to training in Ghana last Friday before moving to his base in the USA to continue preparation for his first defense which could take place in June. “Back in training a while now here in Ghana, hands all good, back to the States soon to continue camp in prep for my first defense! Spoke to my team and we are looking at early June,” he wrote on his Twitter page.